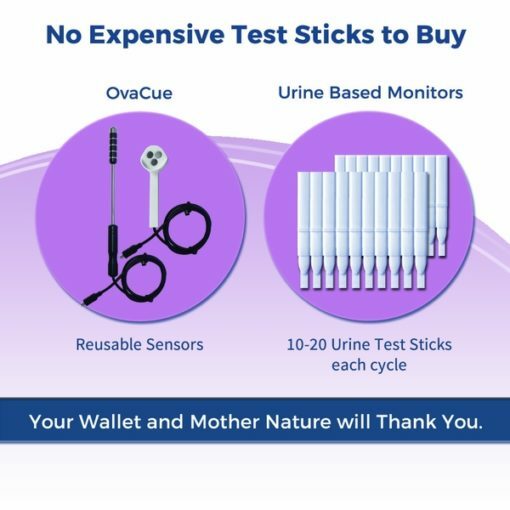 The OvaCue Fertility Monitor consists of a hand-held monitor, an oral sensor, and a vaginal sensor that predicts ovulation easily and accurately without messy urine testing. Over 98% accurate, includes FREE Priority Shipping! 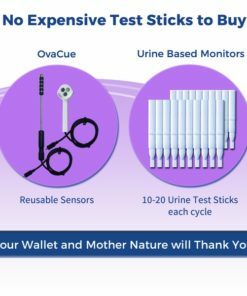 The OvaCue Fertility Monitor consists of a hand-held fertility monitor with a color screen, and TWO sensors – a saliva sensor, and a cervical mucus sensor – the ideal combination for pinpointing your most fertile days in your cycle and for confirming when ovulation occurred. 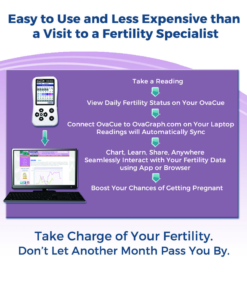 Take the guesswork out of your fertility by seamlessly reading and tracking your body’s biology clues with the OvaCue Fertility Monitor and companion website, OvaGraph. Women who know when they are fertile have a higher chance of getting pregnant during that cycle. Don’t let another month pass you by! Free Priority Mail Shipping! 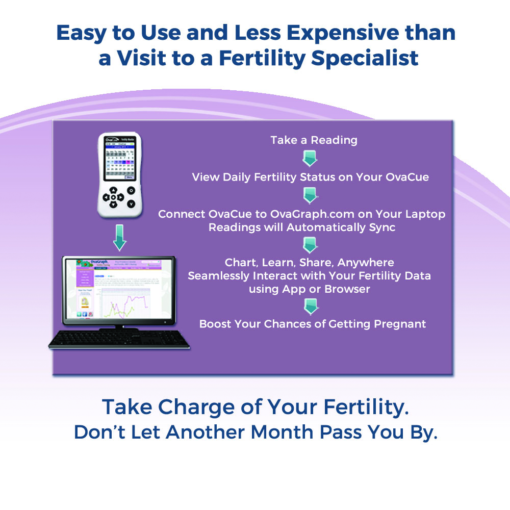 Buy the OvaCue Fertility Monitor today and receive FREE PRIORITY MAIL Shipping anywhere in the U.S. This product is only available for purchase in the United States. The OvaCue is a monitor that measures changes in the electrolyte levels in your saliva and cervical mucus that are impacted by the hormone estrogen. Simply place the oral sensor on your tongue daily and the OvaCue will record a reading of the electrolyte resistance in your saliva. The monitor will track trends in these readings, looking to identify a specific trend (called the “Cue Peak) that marks the beginning of your fertile window. Once this trend is detected, the monitor will color-in the calendar with varying shades of blue (from light to dark), indicating low to peak fertility, and providing 5-7 days advance notice of ovulation. With several days advance notice of ovulation, you are able to increase your chances of conception. The OvaCue keeps track of your current cycle day and current fertility status — and it stores up to 4 months of readings. Once you begin use of the vaginal sensor, the monitor is able to track trends in the vaginal readings to determine when your body switches from estrogen dominance to progesterone dominance, the clue it uses to confirm that ovulation occurred. * As you move through your fertile window, signified by the blue days on the calendar, the monitor will be tracking the vaginal readings closely so that it can detect the trend it is looking for to confirm ovulation. Once this trend is detected, the monitor will display a pink box, indicating “possible ovulation”. 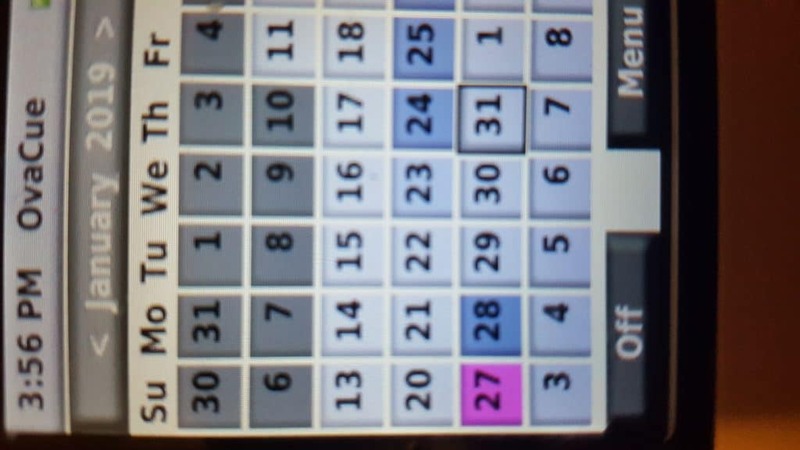 In some cases, depending on the specific hormonal fluctuations of the user, the monitor will also display a purple box two or more days following the pink box, which also indicates “possible ovulation.” Please note that when both a pink and purple box are displayed on the calendar during a cycle, interpretation of actual reading data may be required to determine whether ovulation occurred with the pink box or with the purple box. *Note: Vaginal ultrasound is the only method available that confirms ovulation with 100% accuracy. 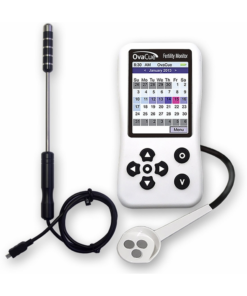 With the OvaCue, we can detect specific trends which indicate ovulation. Even with the display of the pink or purple box, we do recommend you continue to interpret your data to confirm that ovulation occurred successfully. The OvaCue is used successfully by women with irregular cycles and Polycystic Ovarian Syndrome (PCOS). While other fertility monitors predict ovulation based on the attainment of a pre-determined level of a given hormone (either luteinizing hormone, estrogen, or a combination of the two), the OvaCue has no predetermined level set — rather, it interprets each reading in your cycle in relation to your previous readings. OvaCue doesn’t look for a specific reading based on statistical averages, it looks for an overall trend in your body’s own unique readings. This method of ovulation determination is particularly suitable for women with irregular cycles since a hormonal imbalance may prevent you from reaching a predetermined hormone level prior to ovulation. For women with highly irregular cycles, it may also be necessary to interpret actual reading data (in addition to looking at the color coding on the screen of the monitor), to accurately determine your fertility status. Irregular cycles are commonly caused by hormonal imbalances. For women with a hormonal imbalance, ovulation may occur before or after the predicted time frame that the saliva sensor provides. If you happen to ovulate earlier then the oral sensor predicted — the cervical mucus sensor will be able to notify you if ovulation is actually occurring sooner. This is also the case if ovulation is occurring later than the oral reading had originally predicted. With your purchase of the OvaCue Fertility Monitor, you will also receive free, unlimited access to OvaGraph a full-featured fertility charting tool that allows you to store, graph, and print your OvaCue readings. To get the most from your OvaCue monitor, we encourage charting with OvaGraph to allow the OvaCue Specialists at Fairhaven Health to assist with interpretation of OvaCue readings, whenever necessary. Uploading your OvaCue readings to your OvaGraph account is quick and easy. Once you’ve created your account at OvaGraph.com, simply plug the USB cord included with your purchase into your OvaCue monitor and into your computer. Your readings will be transferred automatically to your graphs at OvaGraph. If you have the OvaGraph app loaded on your mobile device, you will be able to view all the same data no matter whether you are on desktop/laptop, tablet or smart phone. Which Ovulation Prediction and Detection Method is Right for You? For a more detailed comparison of ovulation prediction tools, click here. 1Source: Unipath ClearBlue Easy Physician’s manual, page 23. * We offer a 1-year product warranty from the original date of purchase. Up to 7 days advance notice to plan some fun for your baby dancing! Zero recurring costs for urine test sticks or charting subscriptions. Works for women with irregular cycles and PCOS too. Quick and easy – testing takes only a few seconds each day. Share your charts with your OBGYN and the TTC community – works in conjunction with OvaGraph, the official charting tool of Taking Charge of Your Fertility. World class customer service and support – comes with 1 year warranty. Technology shown to be over 98% accurate in NIH-funded studies. Easily upload your data to OvaGraph using USB cable (included). Does this bundle include the oral and vaginal sensors? Yes, the OvaCue Fertility Monitor bundle includes the handheld OvaCue monitor, oral sensor, vaginal sensor, and USB cord (to upload your readings to OvaGraph.com). How accurate is the OvaCue? Can you start using the OvaCue on any day of your cycle? You need to begin using the OvaCue at the start of cycle. We recommend you start taking your oral readings on cycle day 2, however you can begin as late as CD 4. Can I use the OvaCue if my cycles are irregular? The OvaCue can be used by women with irregular cycles. With that said, it may be necessary for additional interpretation of your readings (instead of only relying on the color coding) to best understand the hormonal changes taking place during your cycle. We would urge you to chart your data at OvaGraph.com so you can get assistance from OvaCue Specialists if need be. Is there a warranty on the OvaCue Fertility Monitor? The OvaCue has a one-year manufacturer’s warranty. If you are having some troubles within that timeframe, you can reach out to our OvaCue Specialists for troubleshooting. What do my oral and vaginal readings mean? To better understand the trends you’re seeing with your OvaCue sensors, please contact our OvaCue Specialists at info@ovagraph.com. Can the OvaCue be used to prevent pregnancy? 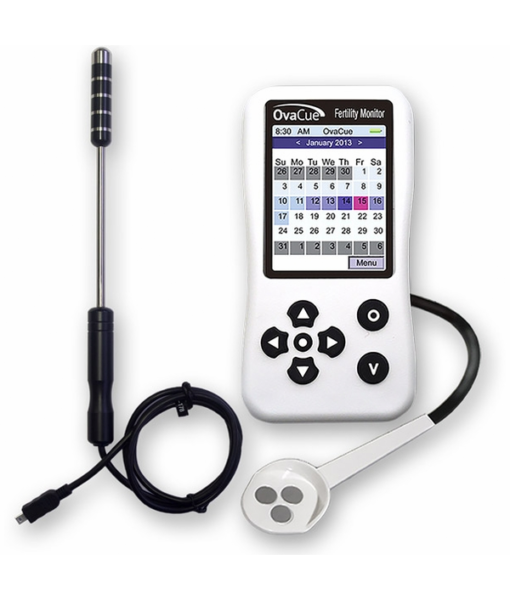 At Fairhaven Health, we receive numerous inquiries about using the OvaCue Fertility Monitor for natural family planning. While the OvaCue Fertility Monitor is cleared by the FDA for the purpose of helping couples conceive naturally, it is not approved as a tool to prevent pregnancy or for use in Natural Family Planning. Can I use the OvaCue if I am breastfeeding? Only if your menstrual cycle has returned. If your cycle has not returned, the OvaCue will not be able to correctly identify your fertile window. Please note, for women who are breastfeeding, data interpretation may be necessary – therefore, we recommend you don’t rely solely on the color coding provided. Feel free to contact our OvaCue specialists for interpretation assistance. OvaCue has been spot on! 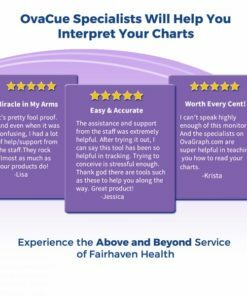 I am very grateful for the Ovacue monitor from Fairhaven Health and how it has helped me monitor my cycle. I have a history of estrogen dominance/low progesterone, and the information provided by the Ovacue has been instrumental in monitoring my hormone cycles so I can get the care I need when I need it. My OBGYN has had me follow up with blood tests in laboratories to confirm what I’m seeing and Ovacue has been spot on. Thank you Fairhaven Health for your help for women like me. Wonderful to hear that OvaCue has been helpful in monitoring your cycle, particularly in light of the estrogen dominance/low progesterone situation which can make pinpointing ovulation challenging. Glad that it is providing some insight, and that the results are being corroborated by your lab tests. Best of luck to you – please keep us posted! So, I bought this product a few years ago. I used it to conceive my first child. The first month using it we got pregnant. Fast forward to now. I have abnormal cycles and 2 recent miscarriages. I thought Id try this again. I also did OPK’s and BBT. I figured I would test if this worked with Pcos/abnormal cycles. The Opks went postive a day before the ovacue said I was ovulating. Temping later confirmed that was ovulation day as well. It works! I have a few more days to wait until testing. It truly does the job! 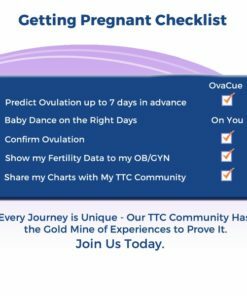 Great to hear that OvaCue is working well for you in determining your actual ovulation date, despite abnormal cycles and PCOS – that is so helpful when trying to conceive! Best of luck to you and please keep us posted. So helpful and highly recommended! I’m sure I’m not the only person who has searched countless hours, days, or months for answers of why I’m having so much difficulty TTC. I’ve done the billion tracking apps available both on my phone and online, the BBT monitoring, and ovulation testing strips none of which gave me the peace of mind that I’ve gotten from this device! I have shed the tears of feeling like a failure, been angry at my body for not “working right”, and spent more time searching for answers then I ever thought I would need to in order to start a family… So if you are in that same boat or have felt that same way, know you are NOT alone! After a lot of consideration and a long stressful road I finally bit the bullet and purchased this monitor. A bit skeptical I might add bc what else could this tell me that my tracking apps and what not couldn’t… Well here’s the answer, I ovulate almost 1 week before any of the apps I had used were saying I did! Therefore my husband and I would be BD thinking “this time it’ll happen, this time will be it” when in reality we had missed the window all together! It’s already called the miracle of life bc it takes everything working together and at just the right time to conceive but it seriously helps everything to work together if you know when the correct ovulation time frame is! I never leave reviews but in all honesty I actually bought this bc of another review that said according to the ovacue she ovulated earlier than what she had been tracking as well and I thought well if it can happen to one it can happen to me, and it is. Now, I have to let you know I have only had this for about a month and this is the first month TTC with it but I’m more hopeful in our TTC journey now and it has taken the stress away for me! Instead of sitting countless days at my desk or nights staring at my phone inputting numbers and trying to calculate when the “right time” to try is, I wake up and use this first thing in the morning then carry on about my day, it takes the guessing and constant wonder out of it for me! I am hopeful that in the next few months I will be able to update this review and tell you that we finally got our BFP but until then I will keep using this monitor to learn more about my body during this journey and continue to place my trust in God’s timing!! Thank you so much for taking the time to share your experience with OvaCue. So glad to hear it helped you pin down your actual ovulation date when you were getting mixed messages. Best of luck to you in getting that BFP soon – please keep us posted! My husband and I were trying to conceive for 5 years naturally and nothing was working, strips, basal temperature tracking, you name it we tried it. Then I came across OvaCue and it made sense to me. I got pregnant the very first month we used it. Now our daughter is 2 and we’re wanting to expand the family. We are definitely going to use Ovacue again, without a doubt. Baby dust to all and thanks Ovacue!!!! So glad to hear that OvaCue helped you to conceive, particularly after 5 years to trying! Hope you see the same result this time around as well – please keep us posted. Most wonderful ovulation monitor ever! I purchased this about 7 years ago, my youngest turns 6 today! I’m currently ttc #4. I will forever use fairhaven products. If nit for this monitor, with vaginal sensor, I highly recommend getting vaginal sensor, I wouldn’t have my sweet Jackson. (I also have 12yr old twin boys) I tried for 16 months to get pregnant without using this monitor and using every other product and still was unsuccessful. I got pregnant the 2nd month with ovacue fertility monitor with sensor. Honestly, the first month was user error. Haha oops. Buy i contacted customer service and they were happy to help me. The next month I did it correctly and 9 months later had my sweet boy. I’ll forever be grateful for that! Now I’m again, ttc and I’m using nothing but fairhaven health products! Thank you Fairhaven for making something that actually works! If you’re trying to conceive, I Highly Recommend this ovacue monitor. You’ll be shocked at the results. I wasn’t ovulating anywhere near what I thought and this told me that. 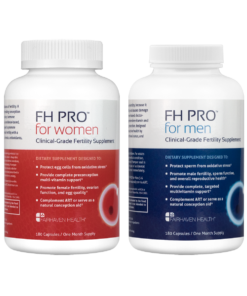 Anyone wanting a baby with fertility problems or someone who doesn’t ovulate regularly this is the product you’ve been waiting on. Plus their pregnancy tests are so inexpensive and are the most sensitive I’ve found other than frer and that test is expensive LOL. Good luck ladies! So glad to hear of your experience with OvaCue! 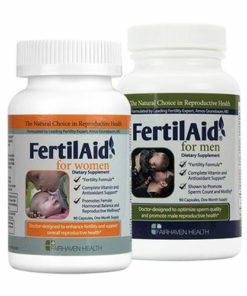 Wonderful that it helped you to dial in precisely when you are ovulating – so important when you’re trying to conceive. We’re wishing you all the best on #4, please keep us posted! Very effective, works every time! My last ovacue monitor broke after having it almost 4 years. It broke this morning and I saw that there was a sale (great timing) and purchased immediately. it was as easy as a couple of clicks and less than 5 minutes. I have recommended the Ovacue monitor to many friends- very effective and works everytime. Judy, glad to hear you’ve had such good results with OvaCue! Thanks for sharing your experience. I’m still new to using the monitor and charting period. I’m not using it to get pregnant just trying to see if I ovulate or not (although I take BCP) . 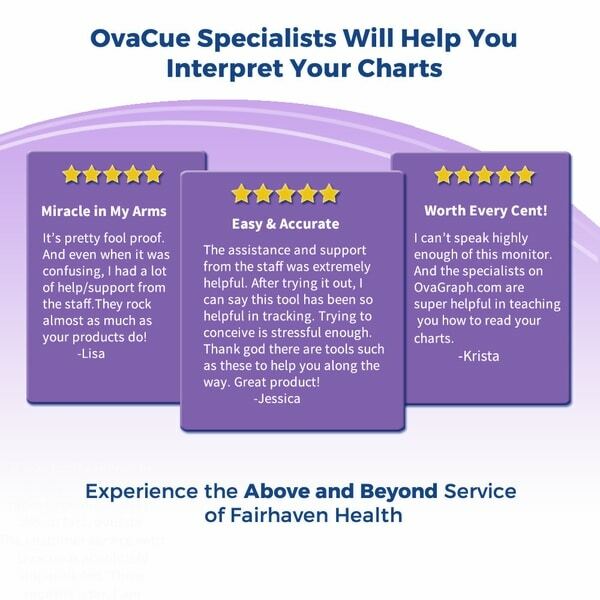 I really don’t know how to read the charts and I have needed help to understand my chart with the OvaCue Specialists. Thank goodness for the free help. The device helps I think.. I had ovulation pain the same day the device showed I ovulated. Having crazy hormonal issues (PCOS being one) that tells me that it works. Glad you’re finding the OvaCue and support to be helpful. It can take a cycle or two to get the hang of it, particularly with an irregular cycle, and that’s why we have OvaCue specialists on hand to help you every step of the way. When I first bought this back in 2014, I was skeptical about it since I had irregular menstrual. When it arrived, I tried it the first time and along with the clear blue ovulation kit and sure enough I got a pink for ovulation. I ovulated the week of thanksgiving and on my bday . Sometime toward the end of December I found out I was pregnant with my 5th child. Feb/mar I found out at about 16 weeks I was pregnant with my only daughter. Thank you ovacue, I was going to give up Ttc a baby girl. Hoping to use this for maybe my next baby. Hi Tsheng – Wow! That is wonderful news. I’m so happy that the OvaCue was helpful in pinpointing your fertile window so you were able to conceive your daughter! Thanks for sharing your story. I had been using an ovulation calendar to determine when I ovulated for the last year and couldn’t get pregnant. So I bought the ovacue and 2 months later – BAM! I’m pregnant. Turns out I ovulate earlier than the calendar indicated and ovacue helped me realize that. So happy! True thanks to god, though, where all blessings come from. Tessa, so glad to hear about your experience with OvaCue, and that it helped you to determine when you were actually ovulating. All our best to you in the next 9 months and beyond! I’ve been using this product for about 15 days now. I’m nursing and using it to keep from getting pregnant. For the price, I was a little disappointed at the outdated technology. You have to toggle between fields with arrows on the monitor – a little laborious late at night or first thing in the morning when you’re taking readings. I was really hoping this would be a little easier to use than it actually is, but that might be because I’m new to it. 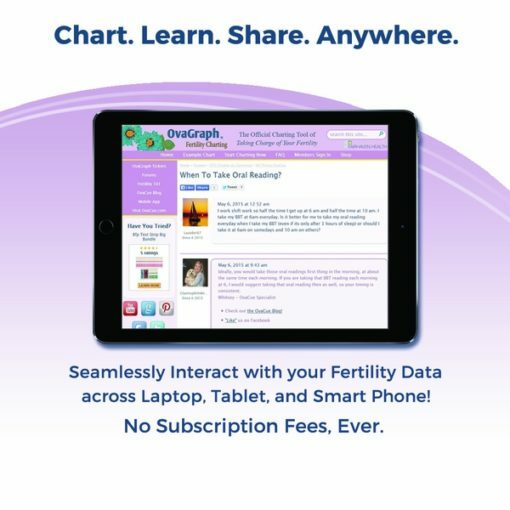 I was charting with the Fertility Awareness Method and decided to take the plunge on this because I thought it would do the charting for me. But it doesn’t really work like that, which is also disappointing. It takes you working at it to interpret the data, which is a daunting process to start. I’m also confused by how to use the monitors. The readings change considerably if you take them back to back which makes me really wonder how accurate they are. I wish there was a little more info on that in the booklet. Not much info comes in the actual booklet. It does stress repeatedly to start on day 2 of your cycle, but doesn’t ever tell you how to know what day 2 of your cycle is. That might be a given for many of you, but for those of us new to charting, this isn’t so obvious. And I wish there was an accurate description, or diagrams, on how to actually take each reading. I don’t drink or eat or do much of anything before my readings, but the readings vary depending on how dry my tongue is (ie. the moment I wake up) or if I touch my tongue to the roof of my mouth. If the monitor is projecting based on the slightest increase/decrease of your readings, it’s questionable to me how accurate I’m getting with it if that slight a change changes my readings. The same with the vaginal reading – depending on where it’s inserted you get different readings. So if it varies that wildly, I’d just like to know EXACTLY where it’s suppose to be – diagrams would be helpful there. Hi Jessica, thanks for your feedback on the OvaCue. We want all of our OvaCue customers to get the most out of their purchase, so we hope the following information will be helpful for you as you continue to use the monitor. First things first, it is important to state that the OvaCue isn’t cleared for sale for preventing pregnancy – as a result, our instructions for use and customer service support is intentionally aimed at helping women use the OvaCue to get pregnant, rather than to avoid pregnancy. Secondly, the OvaCue is best used when there is a definable cycle start date. So, using the OvaCue while breastfeeding, before you have seen your menstrual cycle return after giving birth, does require interpretation of the raw data to be able so see trends in the oral and vaginal readings that indicate that ovulation is coming and/or has occurred. For best results, we recommend waiting to start using the OvaCue until you have your first period after giving birth. And, if you do want to use the OvaCue before your cycle returns, then we recommend looking at the Breastfeeding Discussion forum at OvaGraph.com, or contacting our OvaCue Specialist for support in interpreting your data. With regard to your questions about reading variability, its important to remember that the OvaCue is tracking trends in readings, looking for relative ups and downs, and not looking for readings to fall into a specific “normal” range. And, we expect there to be variability when readings are taken back to back. This is because the sensors are measuring electrolyte resistance in saliva and cervical fluid, and simply introducing the sensor can impact the quantity and characteristics of the fluid. For best results with the monitor, we recommend taking one reading only and saving that reading. There is no benefit to taking back to back readings. And, yes, the OvaCue monitor is a little “old school” at this point. But, while the monitor itself might look a little dated, most people find the user interface intuitive and easy to navigate. And, more importantly, the algorithm that drives the predictions for the OvaCue is based on the Electrolyte Method which was developed over many decades and continues to be refined. 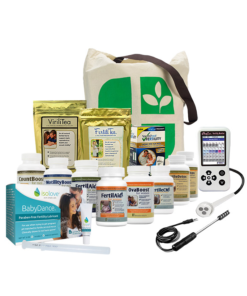 The Electrolyte Method is a tried and true method for ovulation prediction, and is still considered leading edge technology. 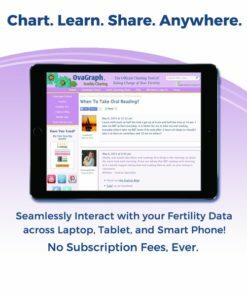 As for charting your readings, you can use the USB cord provided to connect your monitor to your computer and transfer your readings to OvaGraph, our free fertility charting website. Or you can also you the OvaGraph mobile app to chart your readings. If you have any trouble with either of those options, please contact our OvaCue Specialist.